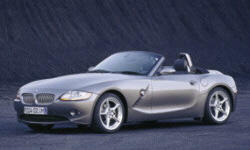 BMW Z4 Pros and Cons | Page 1 of 2 | Why Not This Car? What drives people to buy (or not buy) a certain car? 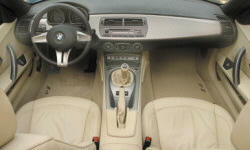 TrueDelta's members share BMW Z4 pros and cons based on their real-world driving experiences. When my husband and I were looking for another car three years ago, I did some cost comparisons on the dealership (Saturn at that time) as my Aura was being worked on. Went throught the lot noting year/model/miles/amenities noted for about 12 used cars. Will not hold my telescope. Heck, with the top down it may not hold a folding lawn chair. This is a totally impractical car. Fun, but impractical. If we could afford a third car it would be the Z4. The exterior styling to my eye was unique at the time all though not all would agree. Car looks unique like nothing else on the road. Turns heads and causes many conversations at the gas pump. Classic roadster look, sporty yet elegant. Looks great with the roof up or down. Classic roadster styling with a modern flair. Lots of compliments. This coupe looks absolutely amazing. It blows the convertible out of the water. Truly a sight to be seen. We were purchasing a BMW while working abroad for the UK government. BMW were able to offer GBP based pricing whereas at the time Mercedes could only base of Euros, which proved significantly more costly. The car goes exactly where you want it to. Response from the steering input is outstanding. Sitting in this and operating the switches and feeling the materials is a pleasurable experience. High-quality all the way around. More agressive styling compared to the Miata and Audi TT. A modern yet classic roadster. Handling is incredibly flat, grip is fantastic. Crisp, clean lines. Aggressive and masculine.